For its failure to provide sufficient electricity for its customers, the Federal Government has been urged to revoke the operational licence of Benin Electricity Distribution Company (BEDC). 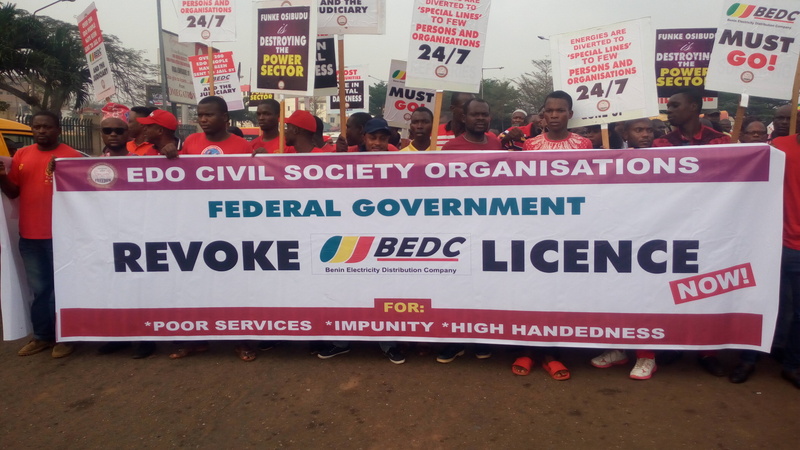 According to a socio-cultural organisation, Benin Indigenous People Assembly (BIPA), ‘BEDC has clearly failed in its duties and responsibilities to supply energy to the people and residents of Edo State’, adding that in the last one year, ‘Edo State has been thrown into one hell of darkness by BEDC’. In a statement made available to Daily Sun, BIPA also condemned the Association of Nigerian Electricity Distributors (ANED) for claiming that Edo State enjoys the lion share of what BEDC gets from the national grid. “We the people and residents of Edo State have noticed with utter consternation, indignation and dismay the reckless and callous abandonment of BEDC statutory mandate to provide decent and sufficient energy supply for the needs of our people. BEDC has clearly failed in its duties and responsibilities to supply energy to the people and residents of Edo State. Indeed, in the last one year, Edo State has been thrown into one hell of darkness by BEDC. “Consequently, the state has witnessed capital flight with businesses shutting down and relocating to areas where they can find better and regular energy supply. Invariably, this economic downturn has also spiraled into the unfortunate increase in the incidence of criminality as many jobless youths now resort to crime, committed in the darkness occasioned by BEDC’S negligence and nonchalance. “The reality on ground here is that BEDC has no capacity to distribute the so-called 9 per cent allegedly allocated to Edo State. What we are witnessing is an uneconomical wastage of energy due to poor and inadequate distribution system because of obsolete networks and very old power transformers.